“It appears that nursing homes shy away from accepting patients diagnosed with any behavioral health conditions,” said lead study author Helena Temkin-Greener, a public health researcher at the University of Rochester School of Medicine and Dentistry in New York. Carefully review the patient’s H&P (History and Physical Examination) records. H&Ps from previous providers and facilities primarily provide information about the medical or psychiatric conditions which caused the initial hospitalization. The medications, diagnoses, testing and observations described will generally alert you to recent events. But dementia is a slowly evolving disease that was probably evident prior to more recent medical events and treatments, and that is critical information. The current problems may have exacerbated an ongoing presentation. Delirium, often caused by infections, adverse reactions and other medical causes, is often mistaken for dementia in post-acute settings. Once delirium and other medical issues have been ruled out, it is safer to consider a diagnosis of dementia. Develop an interdisciplinary protocol for monitoring new patients. Consider daily functioning, cognition, comorbidities, mood disorders, agitation, medication management and family interaction. It could take a few weeks for a person with cognitive impairment to adjust to a new setting, settle into a new routine and attain maximum cognitive operation. If they are dismissed as severely cognitively impaired with no expectation of improvement, they are much less likely to demonstrate their highest practical level of functioning. Speak the language of the person with dementia. Use their words whenever possible and talk slowly — using simple language, enunciated carefully. Establish and maintain eye contact and direct attention while speaking. Whenever possible, sit down so that you are on the same level as the resident. If you are going to do a physical examination, ask familiar staff members to join you in the room, and tell the resident what you are going to do BEFORE you commence any action. Use non-verbal signals like gestures and use verbal cueing as a way to determine word-finding capabilities. Changes in staffing patterns (stable staffing assignments are an important key to dementia care). Staff interactions and approaches to resident care (for example, when staff members speak too fast or move too quickly without properly preparing the resident for an activity). Family contacts that can stir emotional changes and cause agitation, tears or anger. Unwanted social intrusions from other patients. 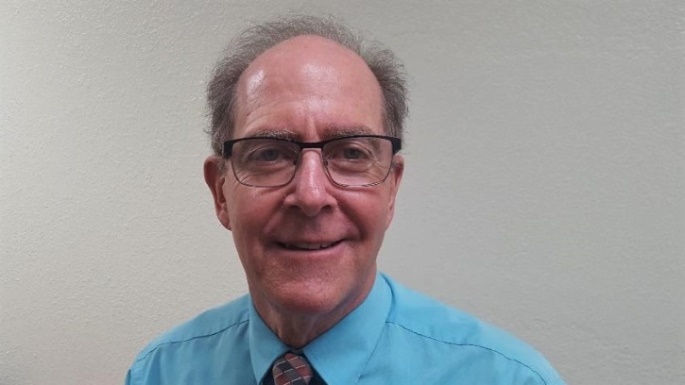 Mitchell Gelber, Ed.D, PC, is a licensed psychologist with TeamHealth who works with several skilled nursing facilities in Northern Arizona. He is the author of “Alzheimer’s Shadow: families Facing Critical Decisions and his recent publication: Family Planning for Alzheimer’s Disease: Essentials for Best Care.